The 31 series is available in 450 mm, 600 mm, 900 mm widths, and can be configured for both metal finishing and deburring. The 450 mm machine is available with up to 4 heads, is equipped with high sanding belt horsepower, and is the ideal machine for grinding and finishing rectangular tube or flat bar stock. 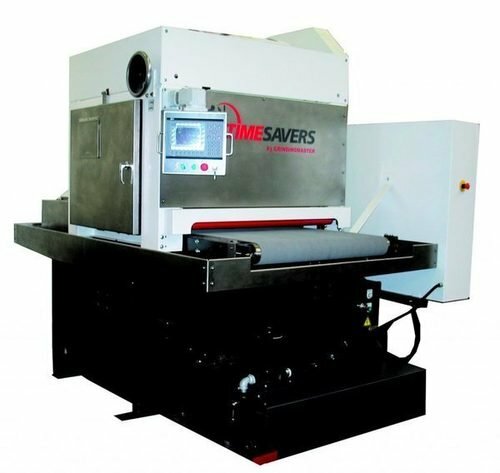 The 900 mm machine can be built with up to 3 wide belt and brush heads.